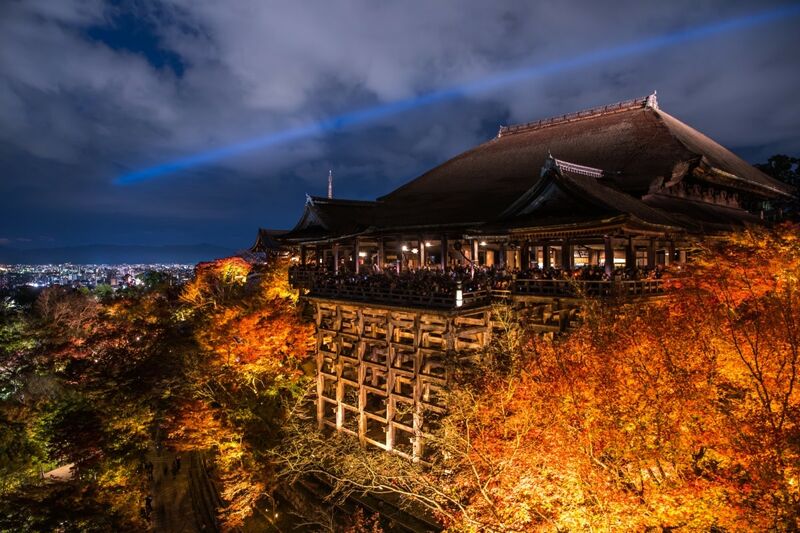 Kiyomizu Temple, or Kiyomizu-dera, is one of the most popular spots to visit in Kyoto. 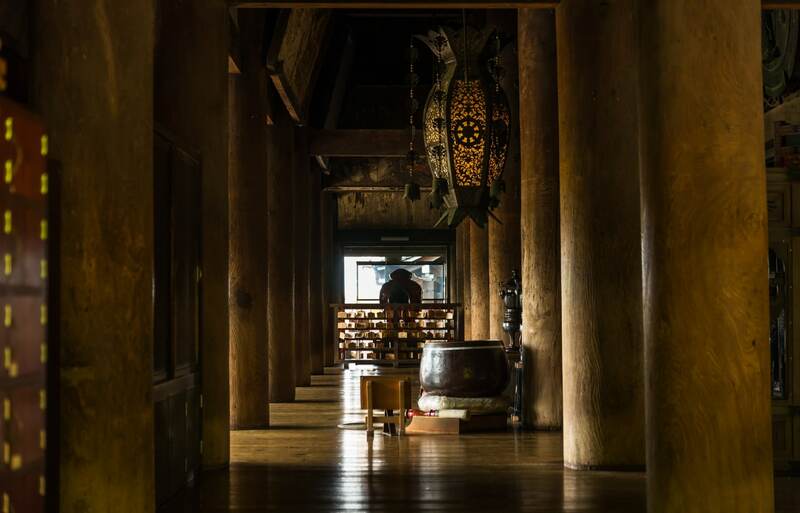 From its amazing architectural feats to the meaning behind its name, there are a few interesting facts and useful tips you might want to know before you visit! 5. Look Out for the Blue Light! You'll be very lucky if you can visit Kyoto during one of its best seasons, when the area is full of cherry blossoms during spring or red leaves during autumn. At these times, the night sky will be lit in spectacular fashion, split by a blue beam that can be seen to the east from Kyoto’s downtown area. Coming from Kiyomizu Temple, the beam shines in what's said to be the direction of heaven. Usually running from the end of March to early April and from mid-November to early December, you can find the precise schedule for the light-up events here. There are a total of five sloped streets leading toward Kiyomizu Temple. Along all of these streets you can find numerous shops and cafés to visit, making the incline less a challenge than a chance for relaxation and discovery. No wonder Kiyomizu is such a popular destination—it's not only the site itself, but also the neighborhood that makes the area appealing!